Someone-or some thing-has kidnapped the dreaded Demon Earth. If he isn't found, the very fabric of our world will unravel, removing the Earth's gravitational field, and, incidentally, that of the magical land of Xanth as well! 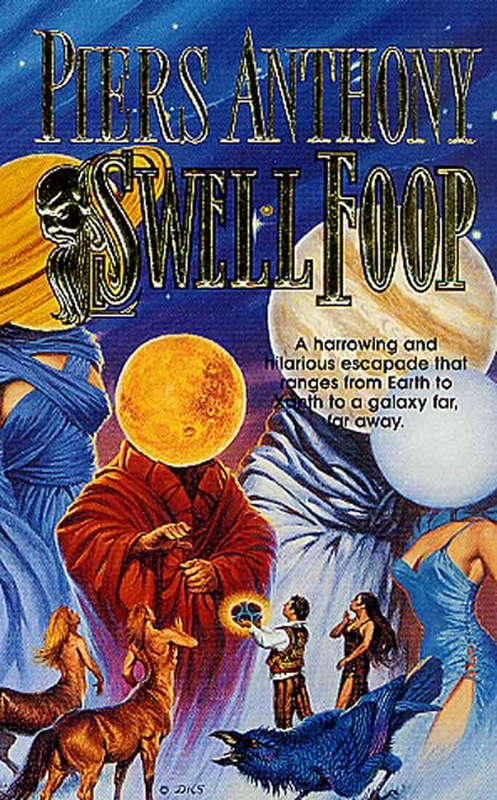 To combat this dastardly deed, six bold adventurers must locate the mysterious object known as the Swell Foop, and wield it in a deadly cosmic contest against an awesome enemy. The twenty-fifth exhilarating episode in Piers Anthony's fabulous saga of Xanth, Swell Foop blends laughter and romance, wonder and danger, in one of the most intricate and intriguing tales in the history of the series. Swell Foop, the twenty-fifth volume in Piers Anthony's bestselling Xanth fantasy adventures, is one of the most intricate and intriguing tales in the history of the series.